Earlier, we talked about our trip to Malaysia's NICI outlet at 1Utama and ended up shopping at Parkson. 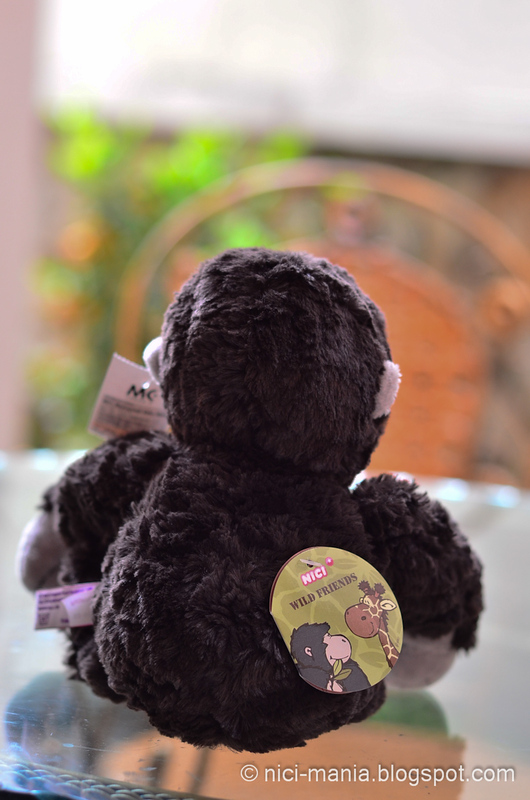 So here we are with our new NICI toys..
Ladies and gentlemen and plushies beware, NICI Pirates are in town! 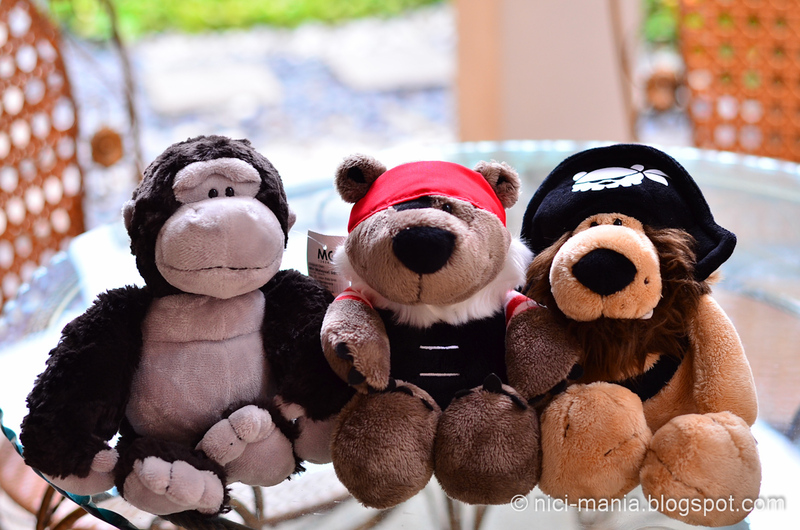 (Roar) pirate bear, pirate lion and pirate gorilla..wait! Pirate gorilla did not sound right. Who are you? 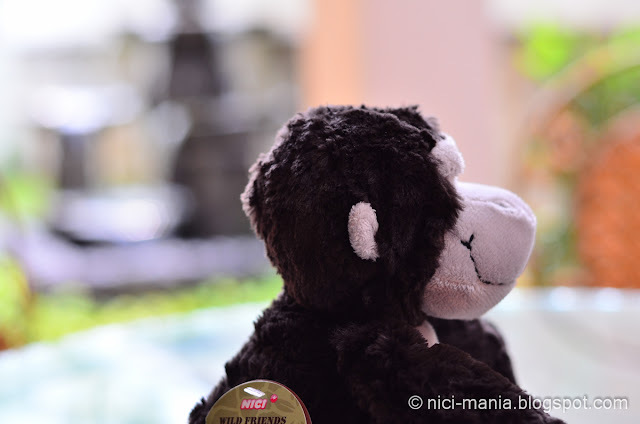 You are Milo Gorilla from NICI wild friends, you are not a NICI pirate plush. What did you do to pirate gecko? Milo Gorilla cheekily smiled at us and replied: Pirate Gecko is too skinny and weak, pirate bear and lion recruited me as a replacement, I am strong and powerful, I am Pirate Gorilla! Okay Milo, we get it..you realise your tag is still on do ya? We got Milo Gorilla because he is the one and only gorilla plush sitting on the nici shelf. He looks too lonely not to bring home.Although his face is not exactly rounded, he has beautiful eyes and extremely soft fur, it felt softer than our bigger Milo. Okay back to pirates, we searched through all to get the best looking NICI Pirate Lion. 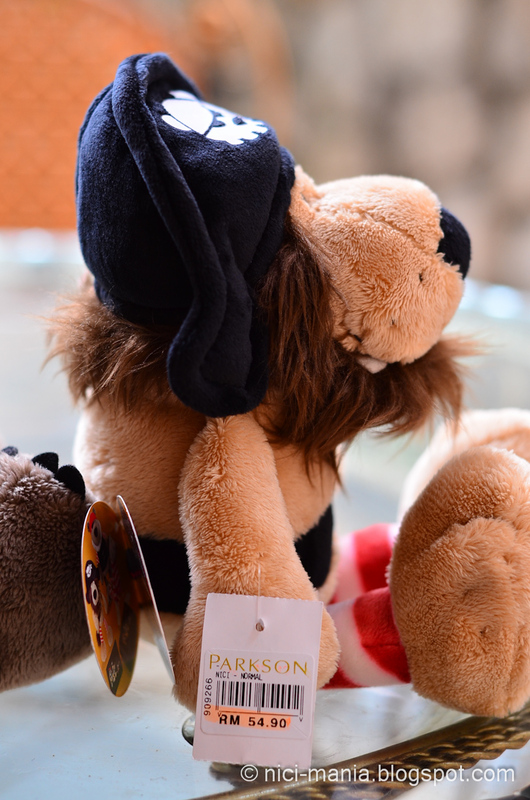 We almost did not bring one home, reason is, most of the pirate lion's hat are bent on the side or on top. This is the only pirate lion with the best looking hat at 25cm. Notice the price of NICI Pirates are cheaper than the usual NICI plush. The 40cm NICI Pirate plush is almost the same price as other 35cm NICI plush. 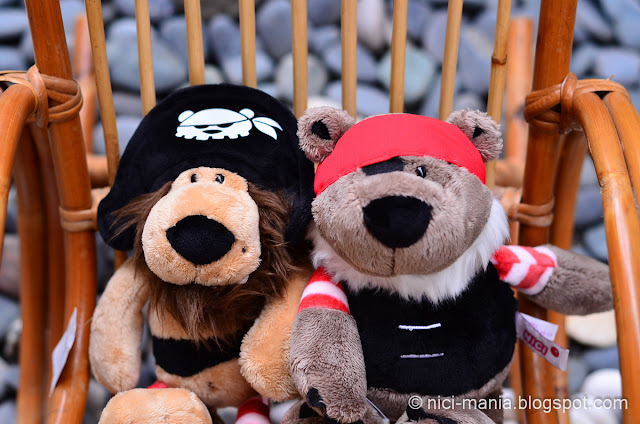 The 15cm NICI Pirates are cheaper than other 15cm NICI plush at RM29.90 and these prices are before discount. 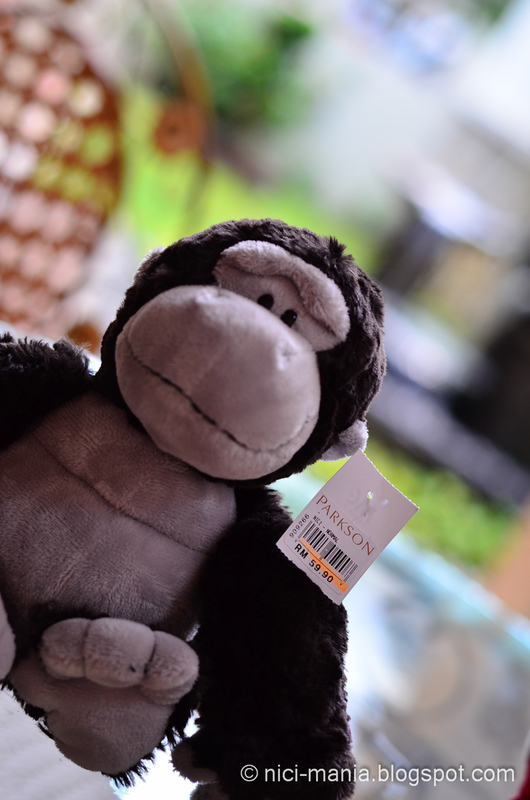 The cheapest price for 25cm nici plush in Singapore is usually S$26.90 for example the wild friends series. They should but we doubt they will price the nici pirates lower than that. So if you happen to be in the capital city of Malaysia, it is very advisable to buy nici pirates here than in Singapore. Parkson offer 10% off all NICI products for everyone and NICI outlet gives 15% for members. 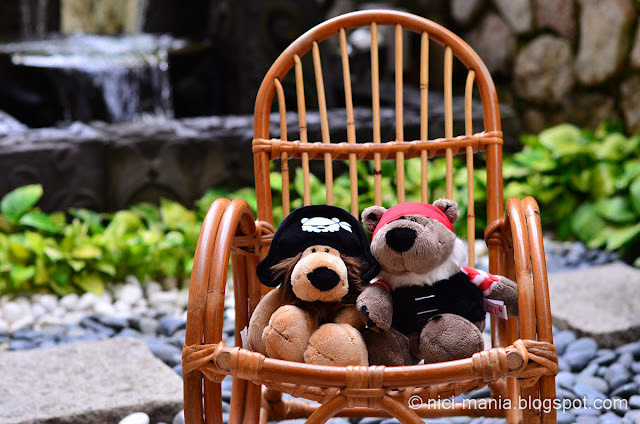 NICI Pirate bear is pretty fierce looking but in truth, he is a cute, fun loving bear, you will see more pictures of him in our future entries coming very soon. @NICI-Wildfriends: Haha yes, till now we are still contemplating to buy a big Milo. We find that Pirate gecko has very innocent big eyes staring at you saying: Buy me :D Gecko plush actually looks very cute at all 3 sizes! They are all beautiful, very good buy haha.